Metallic Green Shield Bug - Montrouzieriellis sp. 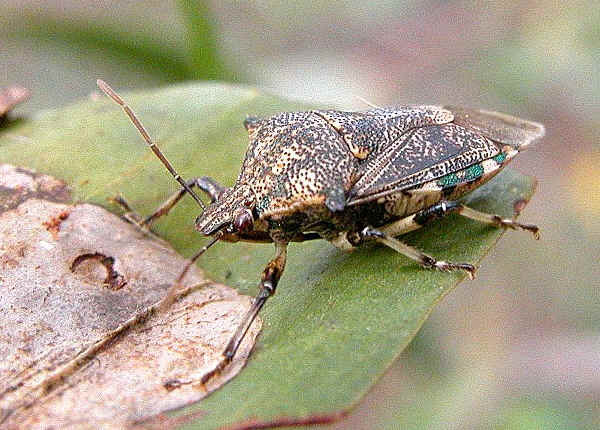 This page contains pictures and information about Metallic Green Shield Bugs that we found in the Brisbane area, Queensland, Australia. 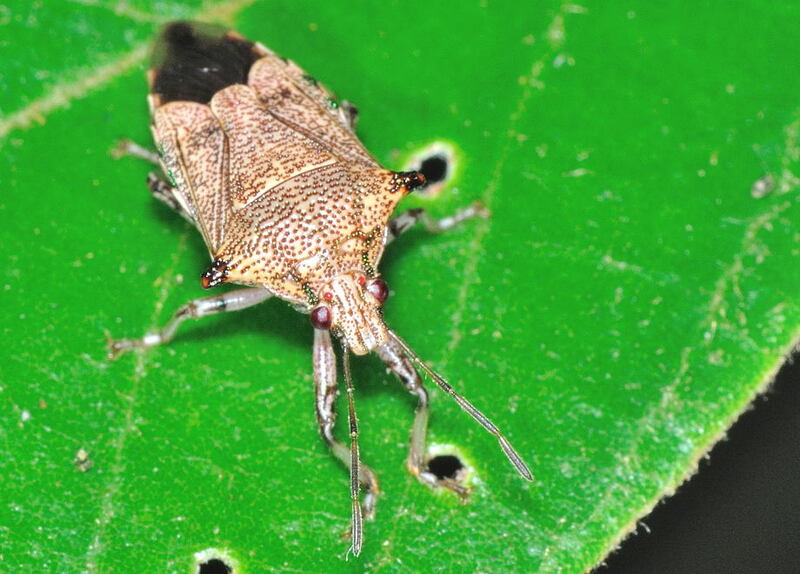 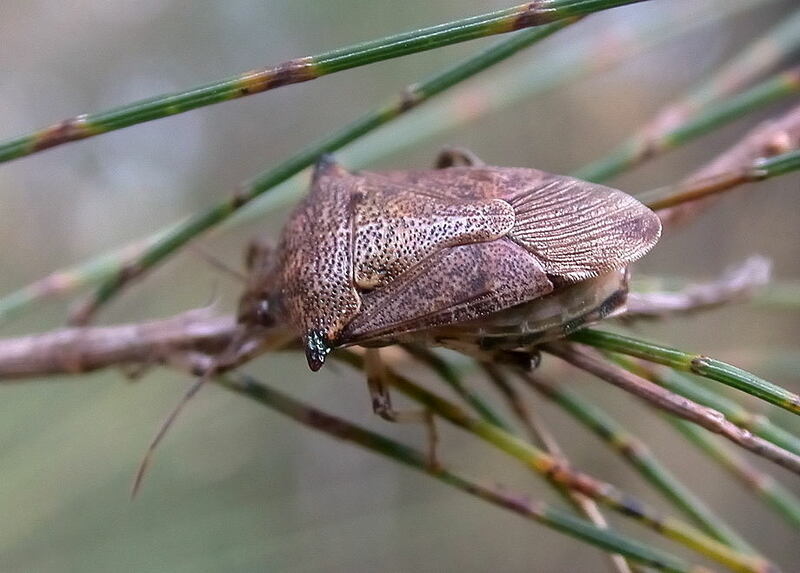 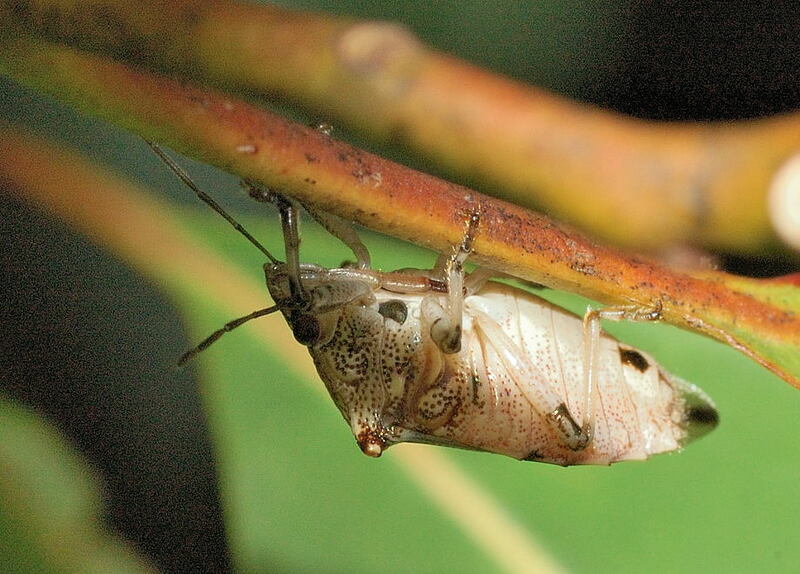 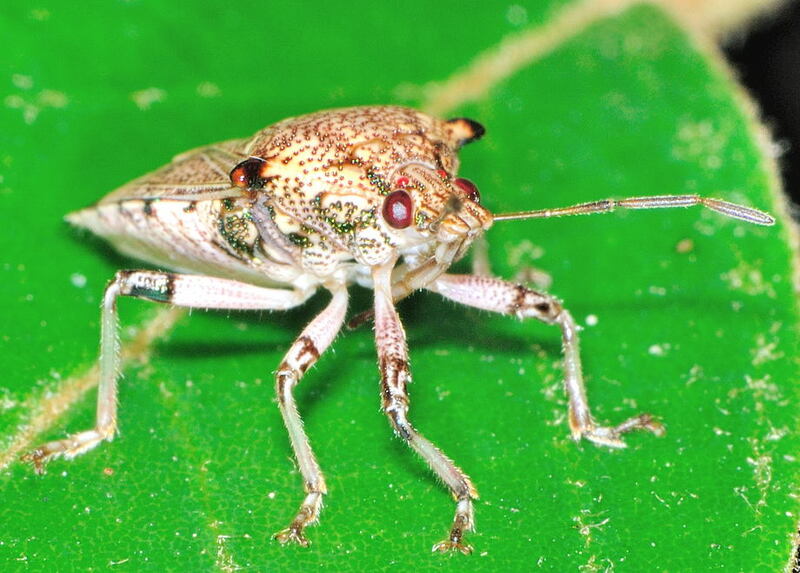 This bug was found once alone on Acacia leaf in Karawatha Park during early summer. 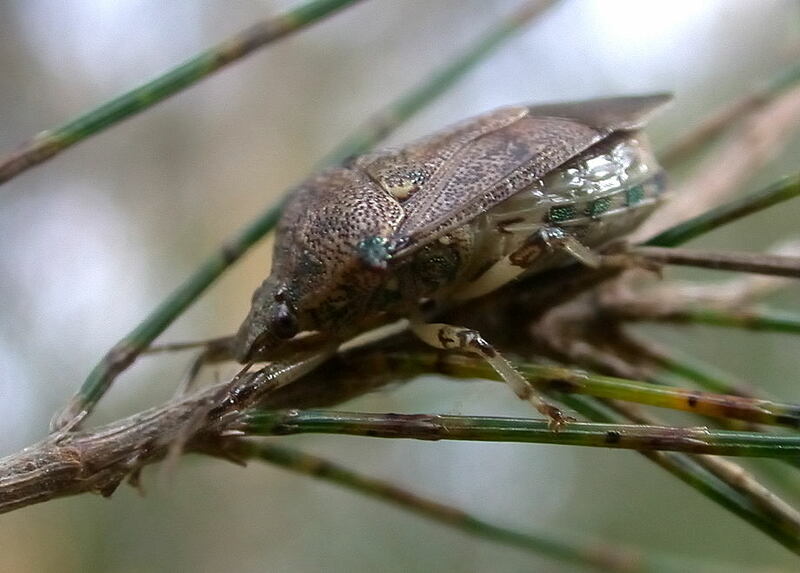 The bug was brown in colour with metallic green spots on connexiva. On Oct 2006, we found this bug again in Karawatha Park, with an enlarged abdomen. 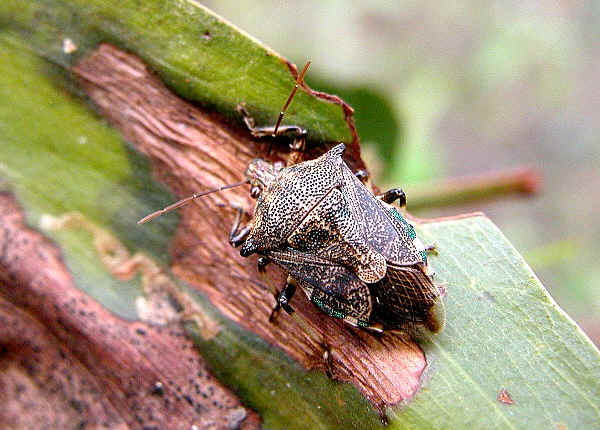 Last updated: August 12, 2010.